In reality, who hasn’t felt stressed out, or wanted alone time, or tried to be practical in any given day? Appealing to a broad group of people is what horoscopes are all about. 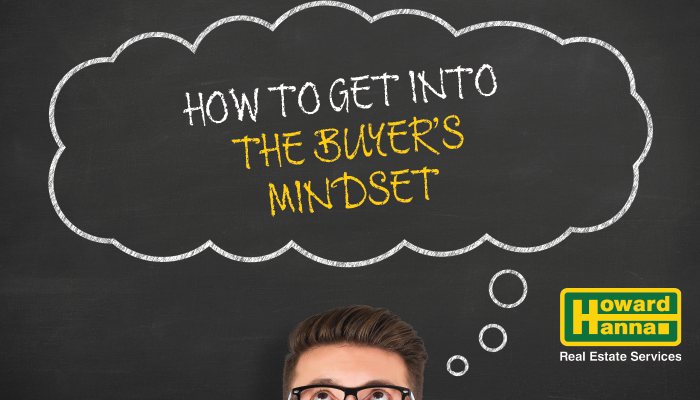 And you, Dear Seller, need to channel your inner astrologist – by thinking like a buyer! What can you do to make your home broadly appealing to as many people as possible, while still speaking to the specifics of what makes your home charming and wonderful? We recommend you light a candle, play some soothing music, and take a walk in the shoes of your potential buyer. Who already lives in your neighborhood? Has the neighborhood changed since you moved in? What stores, restaurants, and other amenities are nearby? Is your home well-suited for a family, or would it be a great “right-sized” option for a retiring couple or newlyweds? Think about the types of individuals likely to be interested in your home, so that you can cater accordingly. For example, if your neighborhood has lots of young families, showcasing storage space and a big yard is critical! Since you’ve lived in and hopefully loved your home, it can be hard to detach yourself from your house. But pretend you’re seeing it for the first time – and if you find it hard to be objective, recruit a very honest friend or family member to do this with you. Which areas of the home are most generally attractive? What makes them that way? Where does your home need some work, in general? What items are broken, worn, stained, outdated, etc.? What projects did you always mean to get to, and just didn’t? This isn’t the time to consider a total kitchen renovation, but you should make sure smaller problems you’ve just lived with – things like dripping faucets and squeaky stairs – are addressed. That’s because buyers will be looking for exactly these small items to justify making a lower offer. Simple fixes like cleaning the carpets and washing the windows can stop a potential buyer from thinking they need to replace the carpets or windows – which can knock hundreds or thousands of dollars off their offer. Family photos. Souvenirs from traveling. Gifts and heirlooms. These are the things that make your home yours. But they won’t appeal to potential buyers, who need to see themselves living in your home. That doesn’t mean you should strip your home bare, but you should consider neutralizing decor where possible. Remember, your goal is to appeal to as many buyers as possible, not to show off your awesome collection of velvet clown paintings. Think carefully about which items you leave on display and which you remove. When in doubt, ask your real estate agent! Your real estate agent is the expert when it comes to marketing your home, but it’s important to ensure that your marketing matches what buyers are looking for. Think back to when you considered who your buyers might be. What words do they use to describe their dream home? Where do they get information about homes for sale? Online? In the newspaper? What types of images of your home would appeal to them? Then, work with your real estate agent to make sure your home’s marketing reflects the taste of potential buyers for your home. If you’re selling your home in order to buy a new one, you have a fantastic opportunity to see how other people are staging and selling their homes. Consider evaluating these properties to see what ideas you might be able to use in your own home for sale. Remember: At the end of the day, your goal is to sell your home. Putting yourself in your potential buyers’ shoes will help you better understand what to do to make your home appealing to them. Are you getting ready to sell your home? Make sure you know what your home is worth! Then, find the right real estate agent for you.